Didier Morin is professor at Universtiy of Bordeaux ans researcher at INCIA in the team: “Coordination and plasticity of spinal generators“. Angelo Nicolosi, 1st author, defended his thesis in 2017. He works in the company Tem Sega. In recent years, the field of nanotechnology and nanoparticles has grown tremendously. 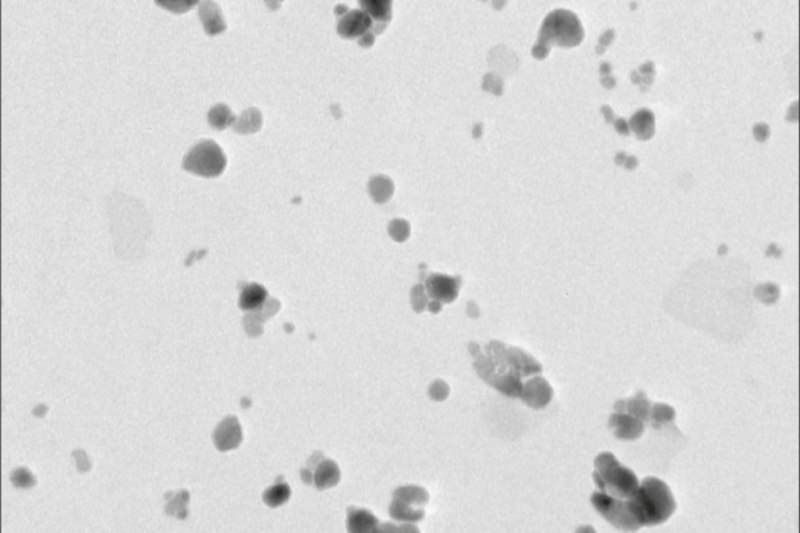 The unique properties of nanoparticles have allowed many advances in the technological fields, but the emergence of these new nanomaterials (such as zinc oxide nanoparticles, ZnO NPs) in everyday consumer products (food, confectionery, cosmetics, medicine …) interrogates on the health risks incurred during acute and/or chronic exposure. In this context, the objective of this research was to study the effects of an acute exposure to ZnO NPs on the activity of respiratory centers (pre-Bötzinger Complex neurons) during postnatal period in rats. Using an isolated ex vivo brainstem-spinal cord preparation from neonatal animal in which the circuitry for the central respiratory command remained intact, we show that ZnO NPs accelerate, then profoundly disrupt respiratory related activity produced by the pre-Bötzinger Complex responsible for inspiratory rhythm generation. 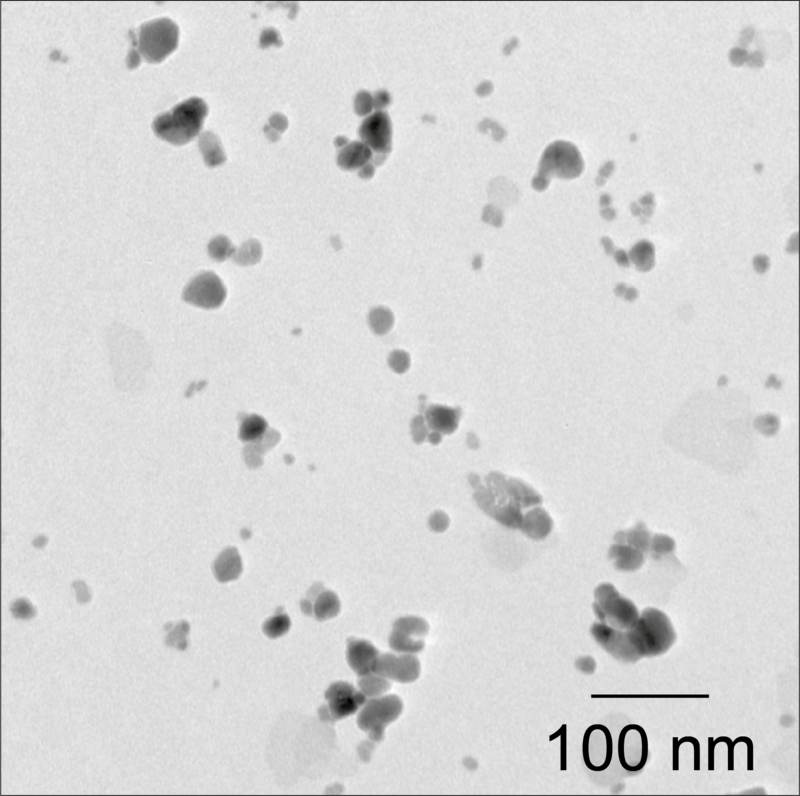 Due to their extremely small size that gives them unique physicochemical properties, nanoparticles (NPs) are used in the production of everyday materials. However, NPs can accumulate in body organs and could cause various diseases. Moreover, NPs that cross biological membranes such as the blood-brain barrier can aggregate in the brain and potentially produce neuronal damage. Although studies have reported the effects of diverse NPs on the bioelectrical properties of individual neurons, their potential influences on the operation of whole neuronal networks have not been documented. Here, we aimed to evaluate the effects of an acute exposure to zinc oxide (ZnO) NPs on the central neural networks responsible for mammalian respiratory rhythm generation. Using an isolated ex vivo brainstem-spinal cord preparation from neonatal rat in which the circuitry for the central respiratory command remained intact, we show that ZnO NPs accelerate, then profoundly disrupt respiratory-related activity produced by the pre-Bötzinger complex (preBötC) responsible for inspiratory rhythm generation. 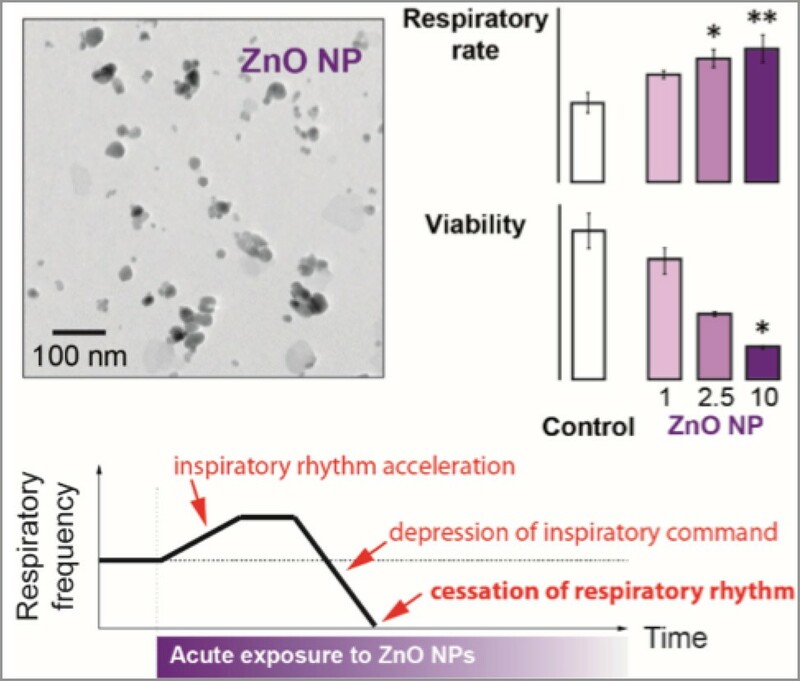 Consequently, a sudden and definitive cessation of respiratory-related activity occurs in ZnO NPs-exposed preparations. Part of these effects is related to zinc ions released from NPs. Using brainstem slice preparations containing the preBötC network, whole-cell patch-clamp recordings revealed that ZnO NPs depolarize preBötC inspiratory neurons and affect their bioelectrical properties by reducing the amplitude of action potentials, thereby leading to a depression of intra-network activity and the ultimate termination of respiratory rhythmogenesis. These findings support the conclusion that ZnO NPs may have deleterious effects on the central respiratory centers of newborn mammals.